GIGA GRANADA HILLS: We've Got A Troll! 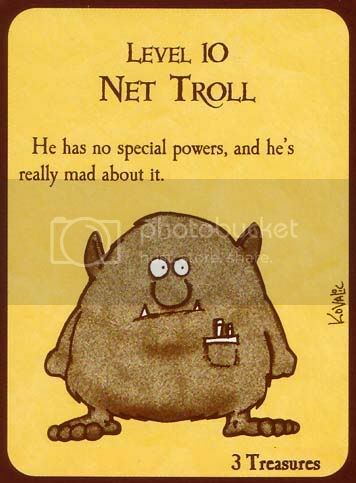 It's not a real net community unless you've got a troll lurking under one of your bridges, and I'm proud to say that GigaGranadaHills is all grown up! I know I'm not supposed to feed them, but gosh darn it, they're so cute that I just can't help myself. Comments will be subject to moderator approval from here on out. Well I suppose it was only a matter of time.